Spencer Travel is very active in the community and raises money and donates funds to many charities including Bear Cottage – Westmead Hospital, Breast Cancer, RSPCA, Ashfield Children’s Home, and The Variety Club of Australia, Sydney Children’s Hospital plus many more. We also contributed funds towards a lifesaving heart operation for a rural Chinese child which was a success. TIME – www.travelindustrymentor.com.au. 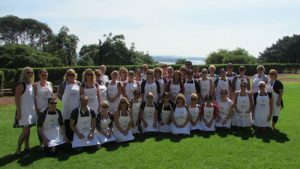 Travel Industry Mentor Experience. Spencer Travel MD founded and is Chair of this travel industry not for profit organisation. Time runs mentoring programs for the up and coming future leaders of the Travel Industry. Time has proven a great success for the industry and the thing that makes us most proud is the support from all levels and sections of the travel and Tourism Industry. Our Managing Director, Penny Spencer, has worked with her 21 year old nephew on “Spencer Swim Safe”. The aim is to train swimming instructors to teach children to swim, decreasing the high rate of drowning in village communities. The first programme was in the Philippines and was a great success, teaching over 60 children how to swim. Other projects have been teaching indigenous kids in Far North Queensland, and most recently visiting an orphanage in Thailand teaching children with HIV. Spencer Travel is a major sponsor of this charity. Spencer Travel also participated in the annual Kayak for Kids Fundraiser. 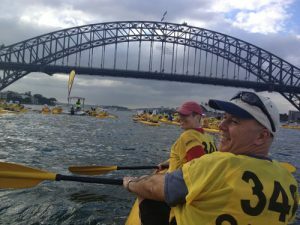 Twelve of our staff paddled the 17.5km race from Blues Point to Clontarf on Sydney Harbour. Not only was this a great way to raise fund for ww.lifestart.org.au, it was also a great team event for Spencer Travel. We are also keenly aware of our Corporate and Social responsibilities and are committed to minimizing its negative impact on the environment and global society. Carbon offsets through plantation forests, electricity through renewable energy source and office consumer products are recycled through appropriate sources i.e. Planet Ark. In 2013 The Spencer Group of Companies held their annual conference in Manly. As the team activity the group wend to the International College of Management and cooked for OzHarvest. For 3.5 hours the team broke up into teams and cooked using the perishable food OzHarvest could rescue from Sydney restaurants. We then packaged it all up ready for OzHarvest to deliver it to the 500 charities they provide for. morning activity we gathered together in our teams. Pinnacle provided all 8 teams with a bike that had to be assembled, the team thinking they were going to race each other. Once the bikes were assembled and had been checked by a bike mechanic we announced to the team that we were not going to race them but in fact donate them to under privileged families from the area. 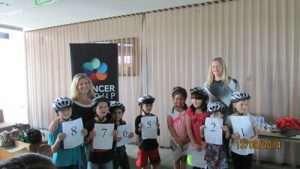 Seeing the children walk into the room with their helmets on and the excitement that they were finally going to own their own bike was something the team will never forget.